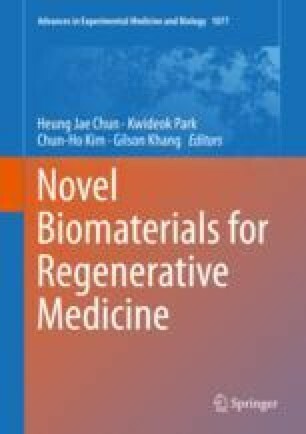 In order to develop and commercialize for the regenerative medicinal products, smart biomaterials with biocompatibility must be needed. In this chapter, we introduce collagen and hyaluronic acid (HA) as extracellular matrix as well as deal with the molecular mechanism as microenvironment, mechanistic effects, and gene expression. Application of collagen and HA have been reviewed in the area of orthopedics, orthopedics, ophthalmology, dermatology and plastic surgery. Finally, the ongoing and commercial products of collagen and HA for regenerative medicine have been introduced.